I have been an avid reader my entire life, mostly thanks to my mom who read to me from a verrrry early age and who used to take us to the library all the time, especially during the summer. Not only did I read all the time, but I saw my mom read all the time too, and I think it's so important that children see adults read. To me, book characters have always been like friends, and, as I said once, I know so many because they were my mom's friends first. And if they weren't, I only made them as my own friends because my mom taught me how to introduce myself to them. Because of the many (many) years I've been in graduate school and working, it's been hard to find time to read just for fun. Luckily I was able to squeeze in a few good titles this past summer, and recently I finished reading Fahrenheit 451 (for the first time, I'm embarrassed to admit). As a Language Arts teacher, it's so important to me that I show students that I don't just make them read, I'm always reading myself too. 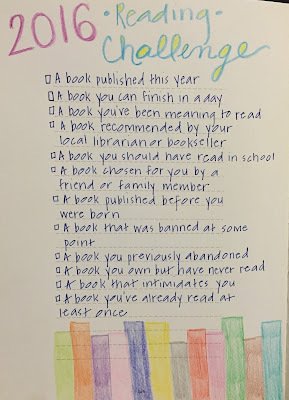 To that end, I adapted something for my school that I saw at another school, so teachers and staff at my school have signs outside their classroom doors that say "NAME is reading BOOK by AUTHOR," so that our students see that their teachers are reading books too. That sign holds me accountable to read to be quite honest, and I'm glad that we're doing it. 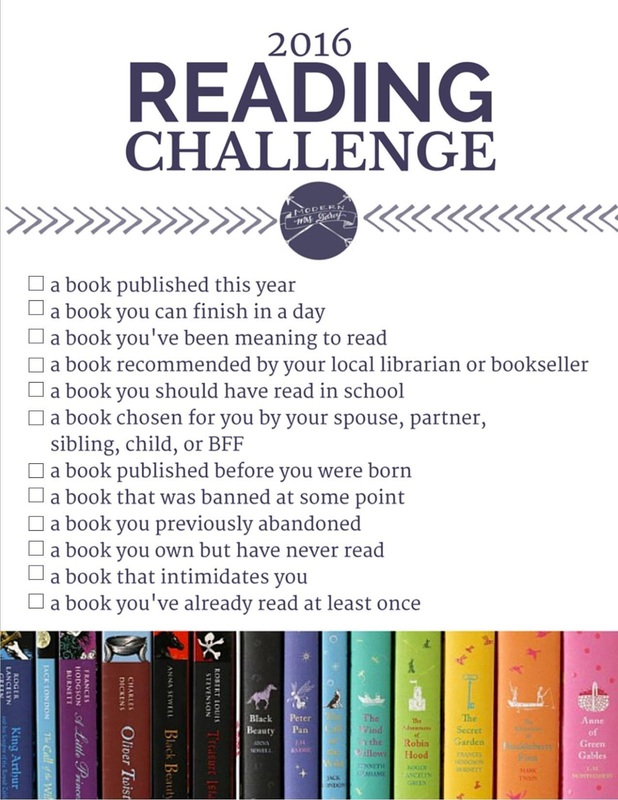 While perusing Facebook the other day, I saw that one of the teaching pages I follow posted about the 2016 reading challenge. I was very intrigued, so I investigated further. 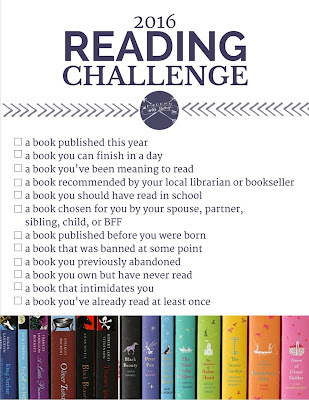 I found out that it is a challenge created by a blogger whose work I've read before, Modern Mrs. Darcy. Basically, there are 12 themes for the year, one for each month of 2016. The point is to inspire people to read new and different kinds of books, outside of their comfort zones. 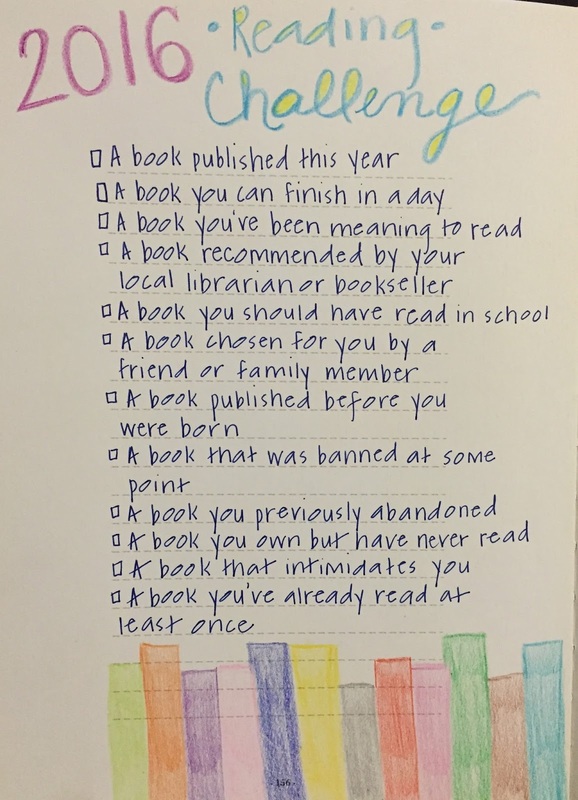 I think this idea is so awesome, so I am going to participate! 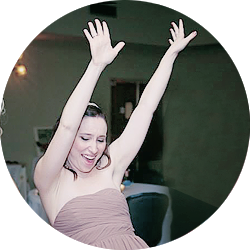 On her site, you can also download a free reading journal she created, but this year I think I am going to write about what I read in my daily journal I'm already working hard to write just a little bit in every day. (Even if it's just a sentence or two.) If all goes well this year, perhaps I'll try her reading journal in 2017! I have a great book called Listography (if you don't have one, you should! ), which is where I am going to keep track of the list (duh) of what I read. William Golding's Lord of the Flies!